Boyers Law Group represents clients in serious personal injury, medical malpractice, wrongful death, product liability, premises liability, premises security/negligent or inadequate security, maritime negligence and professional malpractice cases. The firm’s trial attorneys have been repeatedly recognized by their peers, clients and media for their top-tier skills and achievements on behalf of clients. 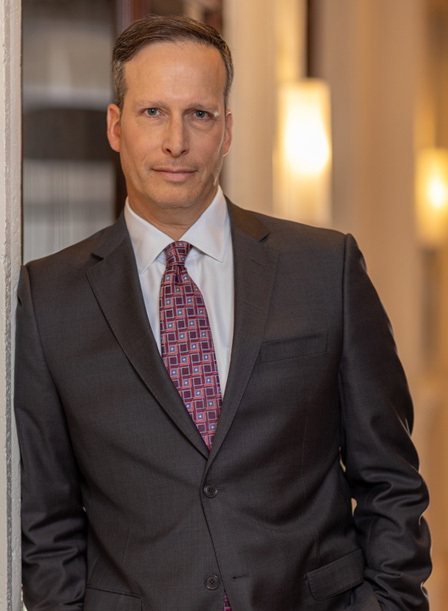 The firm’s trial practice is led by Robert Boyers, who started litigating and trying cases early in his career at a major New York City personal injury law firm and as an Assistant District Attorney in Queens, New York and a Special Prosecutor in Brooklyn, New York. Over the past 25 years of practicing law, Mr. Boyers has tried many cases to a successful verdict and has won millions of dollars on behalf of his clients. Achieving substantial compensation for our seriously injured clients in a way that dramatically improves the quality of their lives is the most satisfying thing about the work that we do. At the Boyers Law Group, our attorneys care deeply about our clients and do everything possible to achieve just and full compensation for our clients who have been harmed through the negligent or wrongful conduct of others. We also strive to help our seriously injured clients put the pieces of their damaged lives back together again. It is our mission to not only obtain the best possible results for each of our highly valued clients but to hold wrongdoers accountable for the terrible harm that they cause. We cut no corners and apply our many years of experience and legal skill, combined with a tireless work ethic, in order to utilize the civil justice system to meaningfully improve the lives of our clients. We intentionally limit the number of cases taken on by the firm so as to ensure that each client receives the superb and exceptional legal representation that they deserve. We also employ a team approach to every case. Boyers Law Group engages its talented staff, nurses, investigators and experts to collectively level the playing field against insurance companies and large corporations. As a result, our attorneys have an impressive record of achieving substantial compensation for our injured clients throughout Florida. For a free consultation with one of our Florida injury lawyers, call the Boyers Law Group at 800.545.9100 or fill out the contact form. We look forward to serving you. Negligent Design and Construction of shopping center combine to cause spinal cord injury and paralysis in senior citizen. Negligent administration of IV to premature infant. "Rob very successfully represented our family (our son) in a medical malpractice case involving a birth injury where our son suffered brachial plexus at birth. Rob truly has a passion and an amazing talent for law. His commitment to his clients is truly unwavering and we are forever grateful for the dedication and care that he put into our son's case. Without a doubt it is because of Rob that our son will have opportunities in life he may not have had and will have the resources he needs to make his disability less hindering for him." "I had a major accident where I sustained many injuries both short and long term. I was referred to Rob Boyers by a friend and I contacted him and he came to my house as I was completely incapacitated. He interviewed myself and my family as to the facts of the case and we subsequently hired him to handle my case as it relates to the insurance and the various medical obligations i was incurring. To that end I am grateful to him and his services and consider him a friend to this day." "I hired Mr. Robert Boyers for a wrongful death case involving my father. I wasn’t sure what to do, or procedures to take until I met Mr. Boyers. I can say honestly from my heart I’m very thankful I met this attorney. Losing a father, and feeling lost is the worst feeling anyone would have. Mr. Boyers and his staff was very sincere and compassionate the entire time and then after during my case." "Robert Boyers was recommended to me to handle my slip and fall case. I will be forever grateful to Robert for allowing me to feel that I was in the ‘best possible hands’ throughout the process including the settlement of the case. Robert’s expertise, professionalism, and compassion were beyond what I observed in the legal field. And, his associate and staff were a fine reflection of Robert’s guidance. Robert was always available to answer any questions or concerns I had." 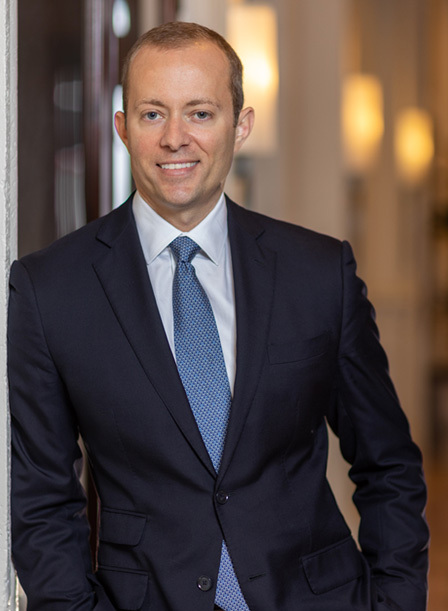 Trial Attorney Robert Boyers is a founding shareholder of the law firm of Boyers Law Group, with offices in Coconut Grove, Miami and Orlando, Florida.